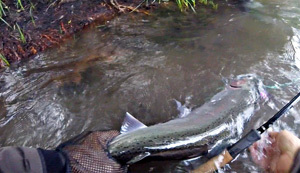 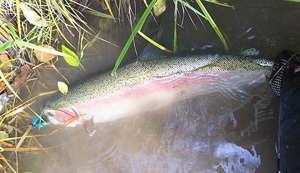 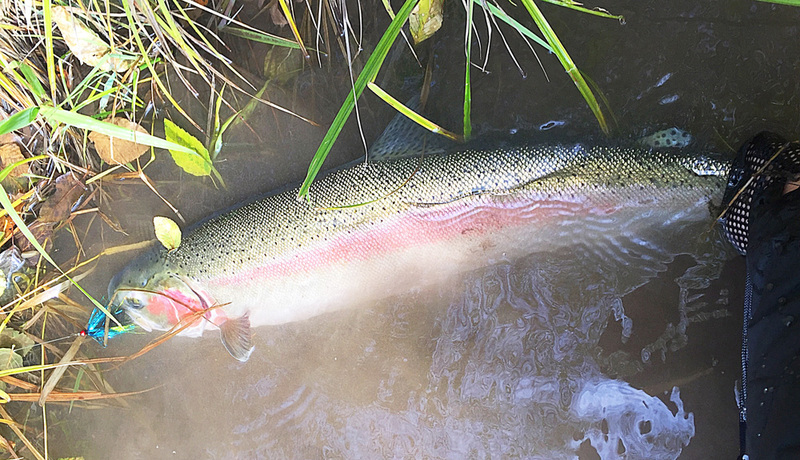 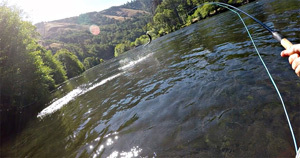 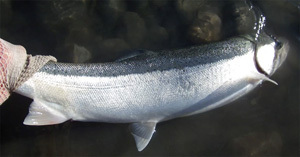 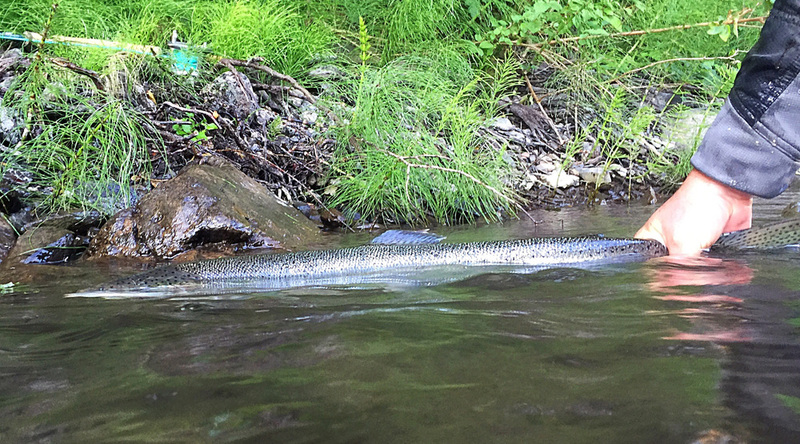 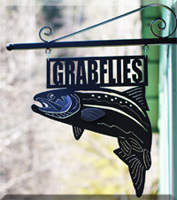 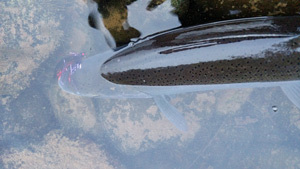 (NEW) Occasionally customer's e-mail Grabflies.com some of their Steelhead photos - I love looking at these pics so I thought I would share. 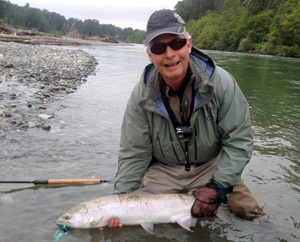 Congratulations to Bill. Bill has taken several casting lessons from Grabflies/Jeff Layton. 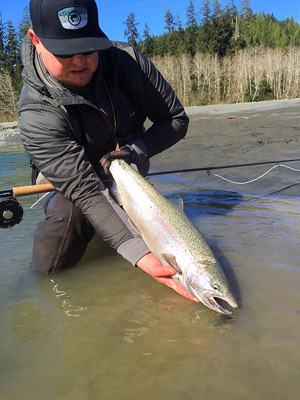 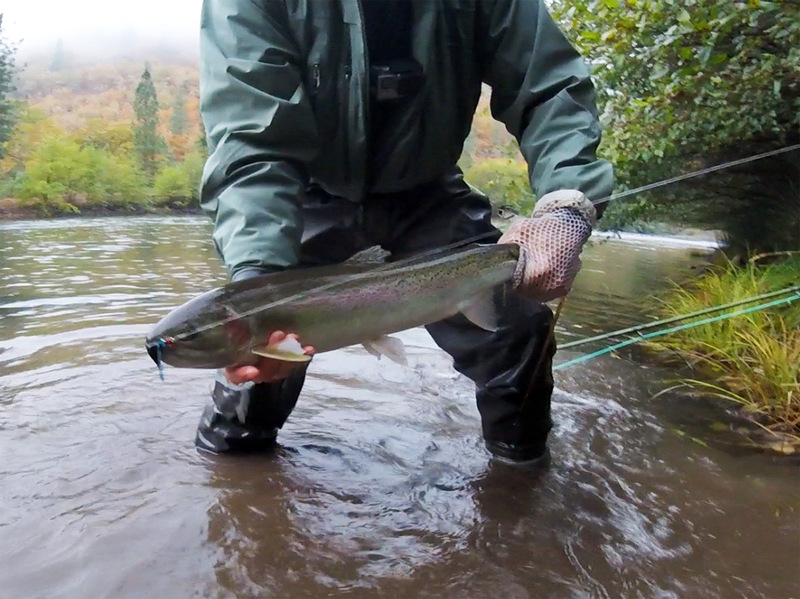 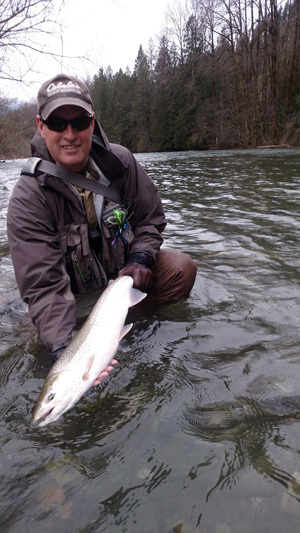 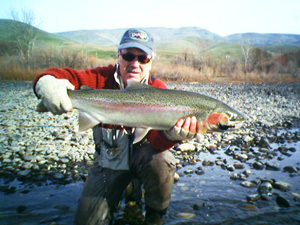 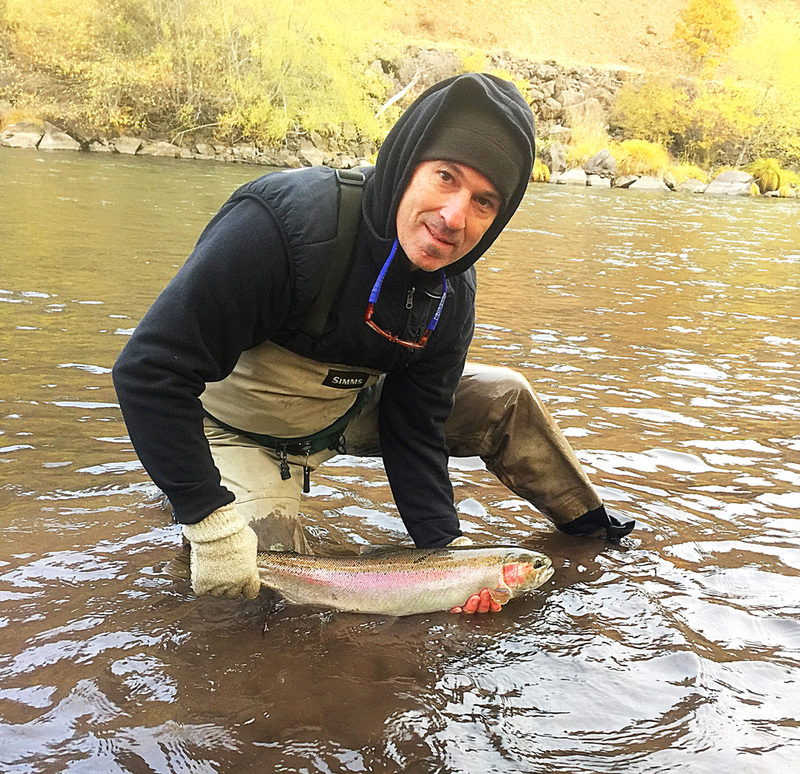 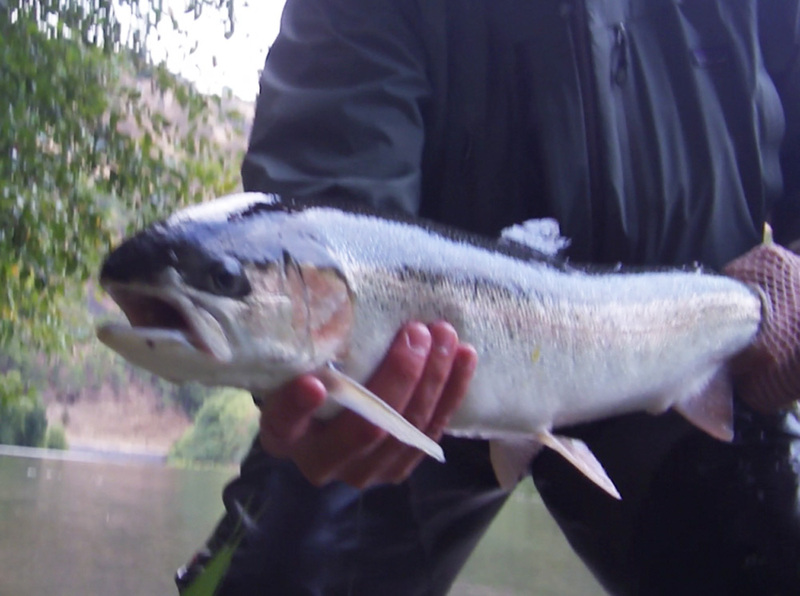 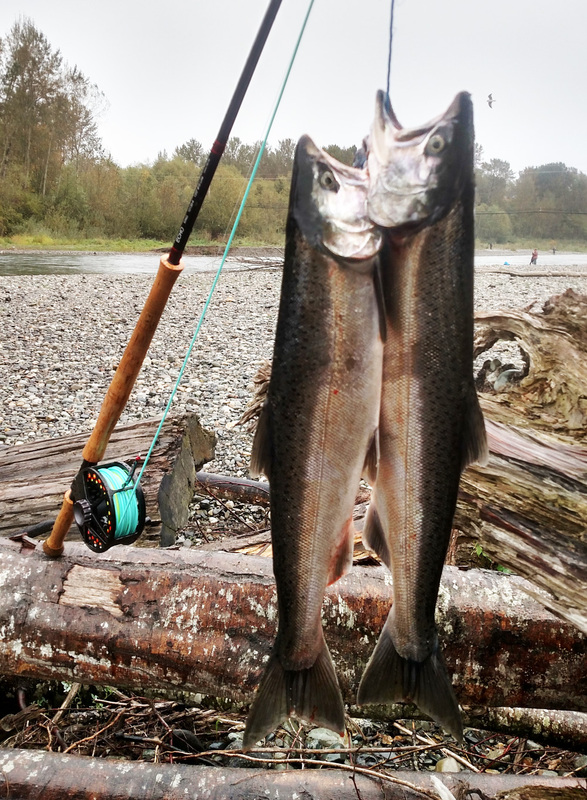 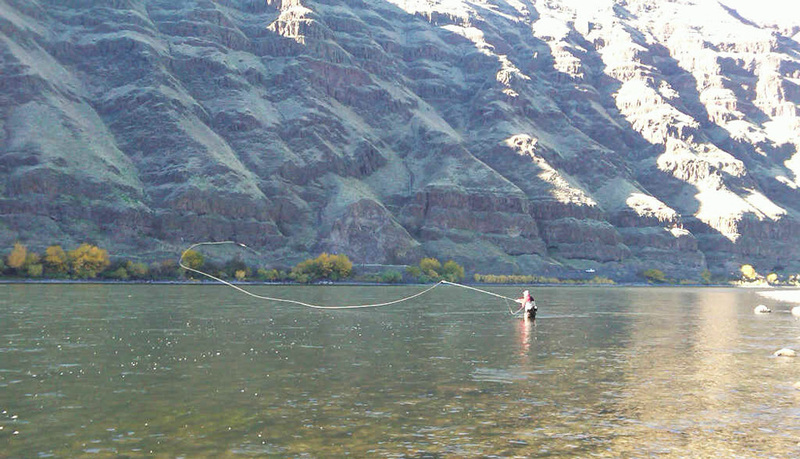 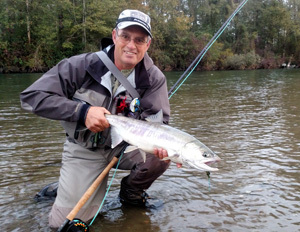 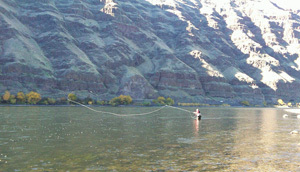 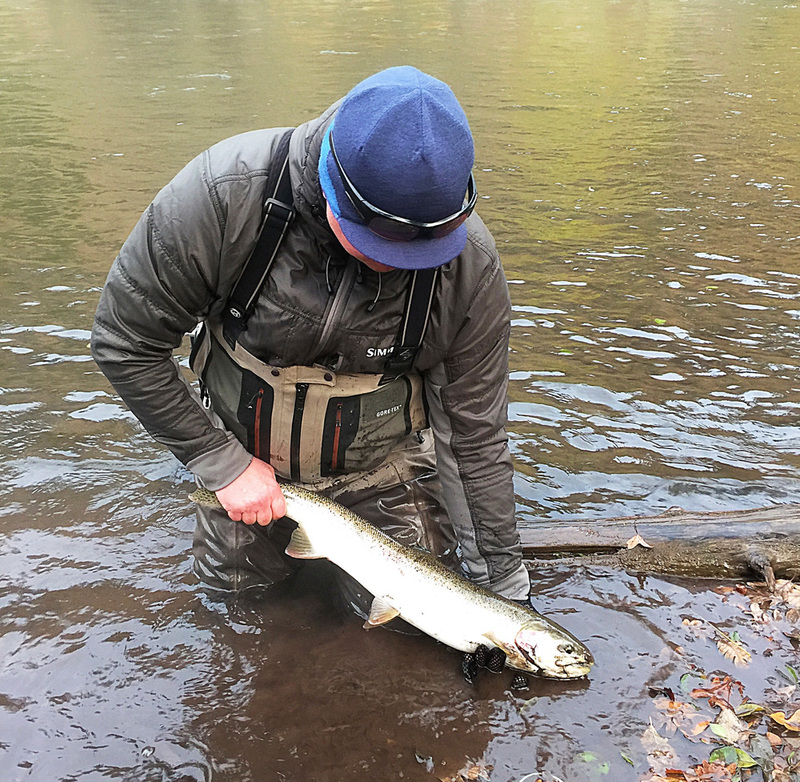 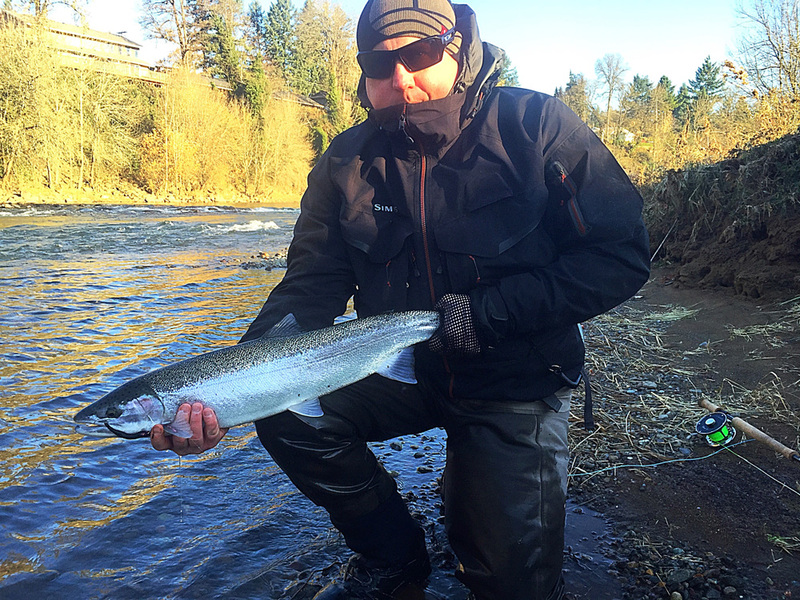 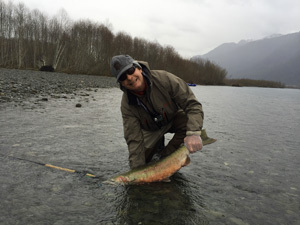 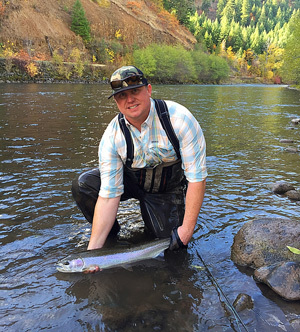 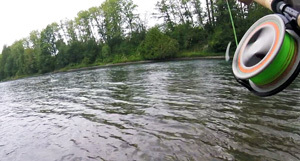 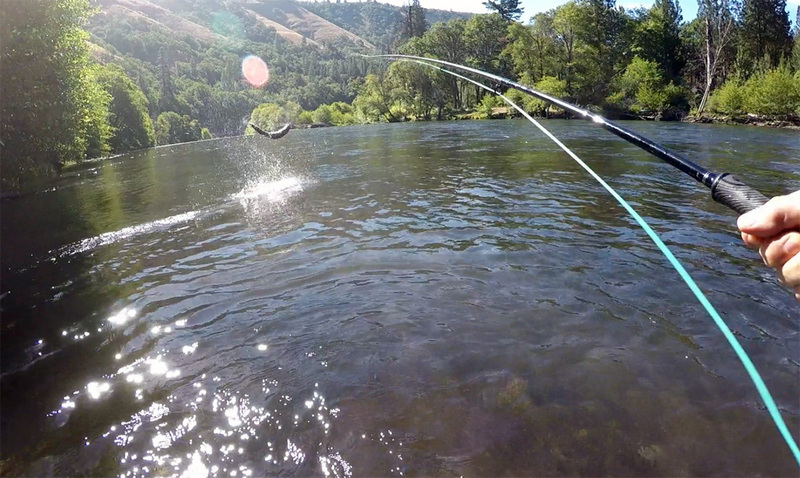 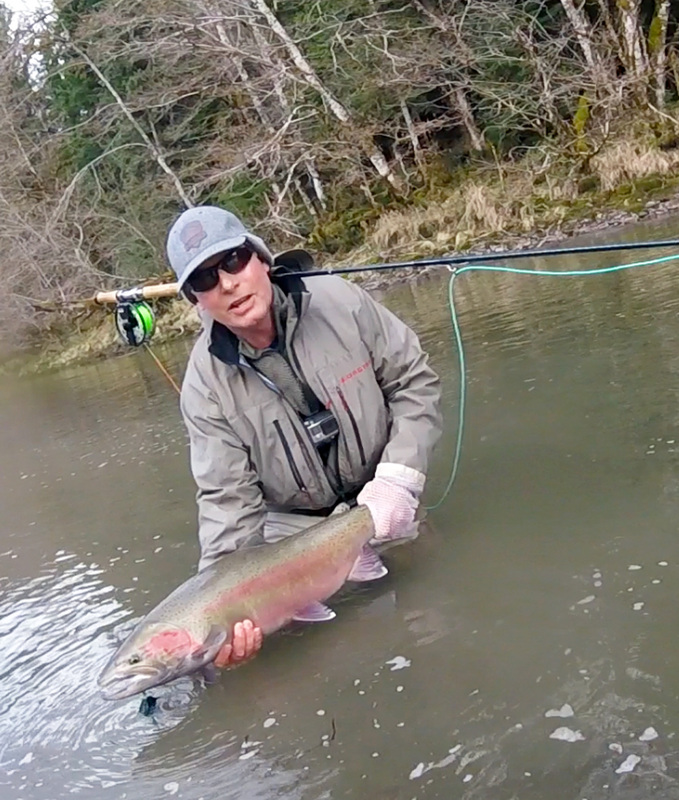 Now Bill is catching nice Chrome Steelhead! 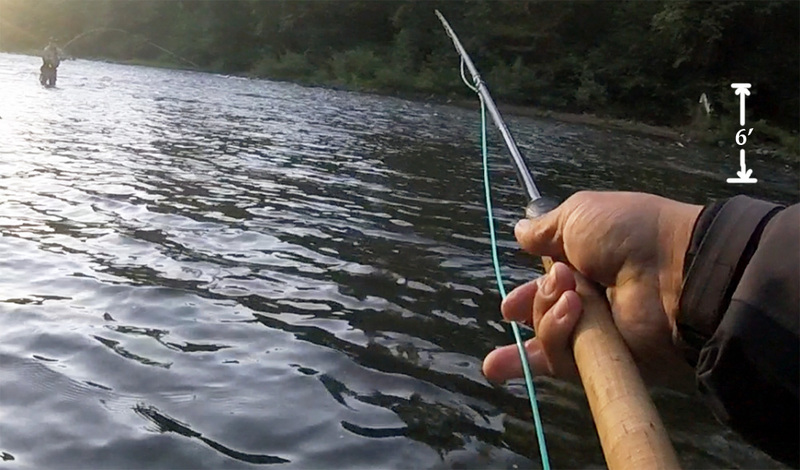 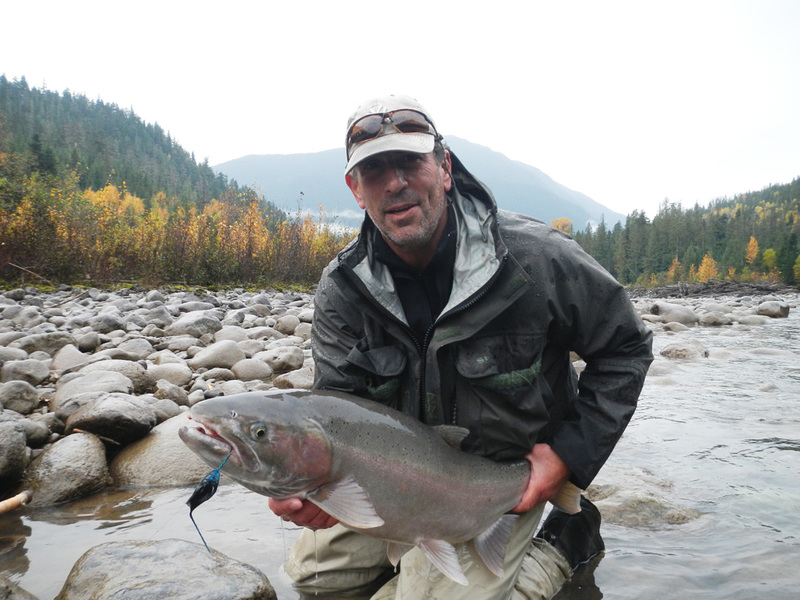 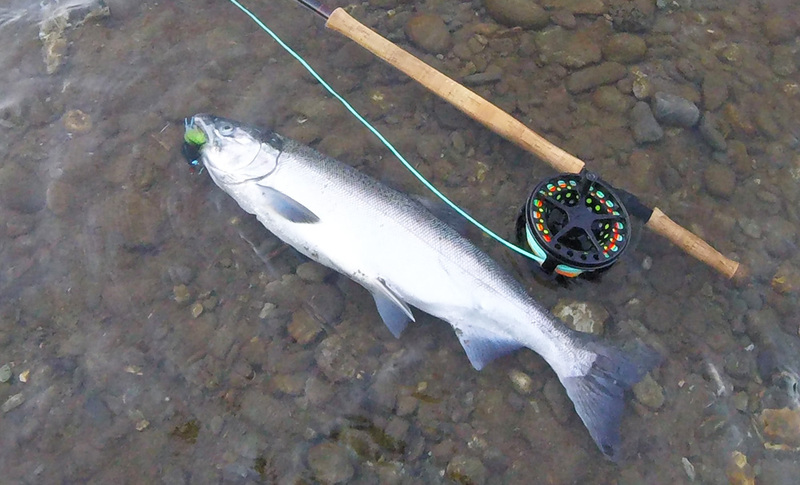 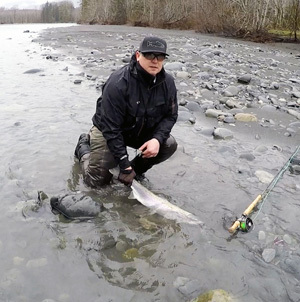 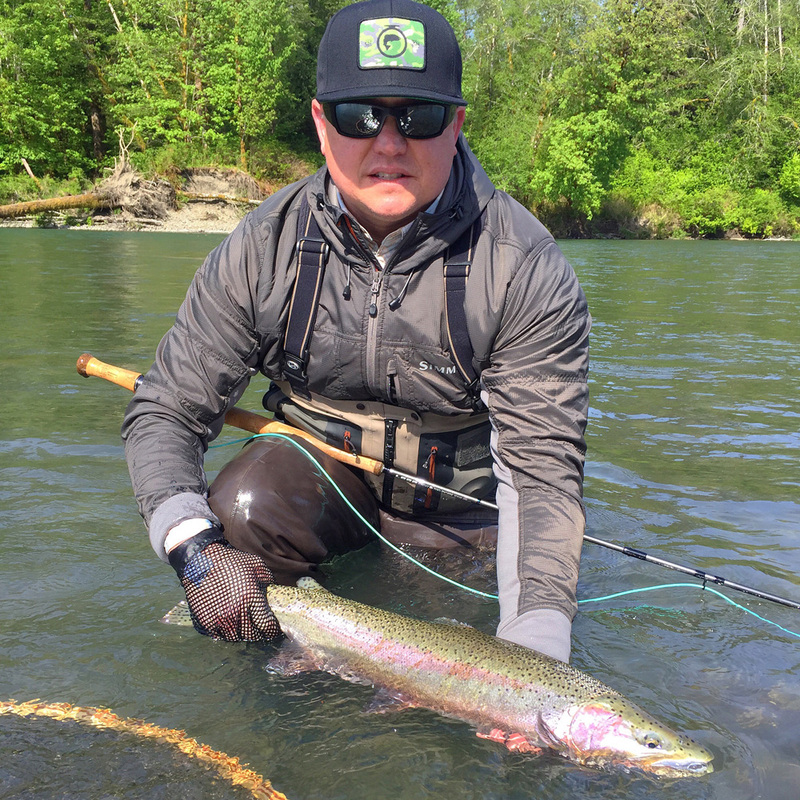 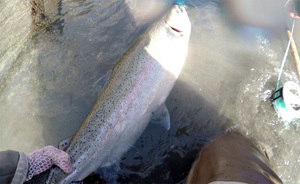 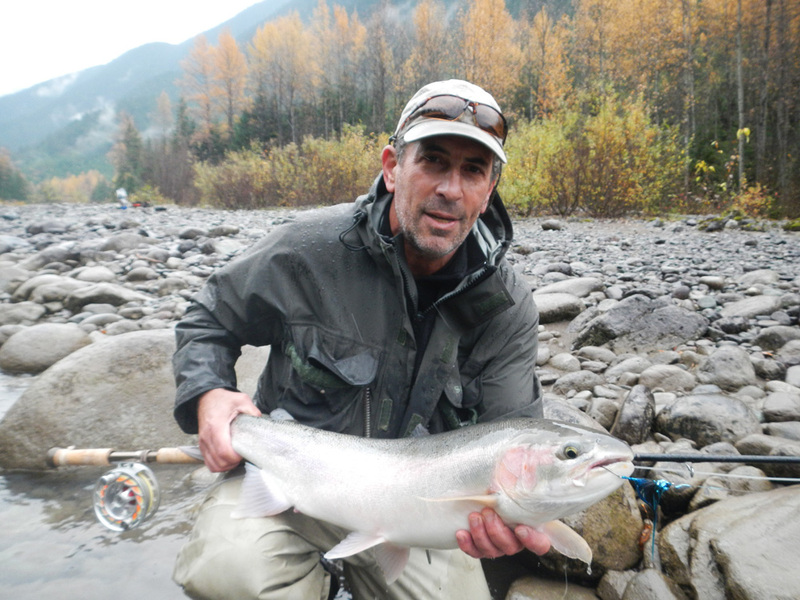 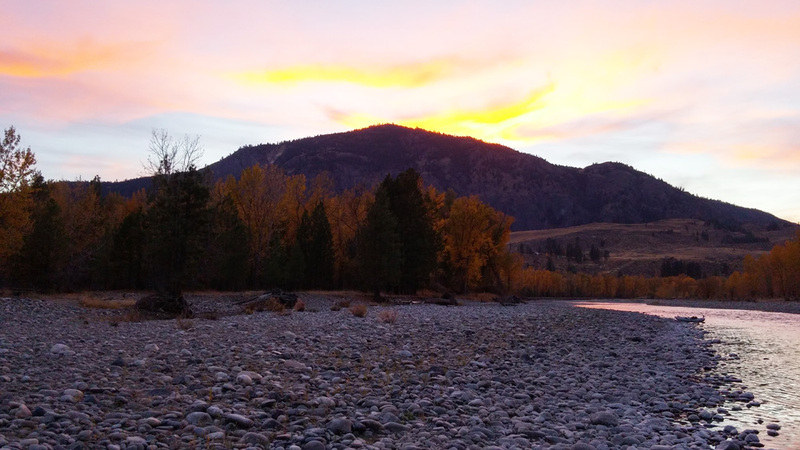 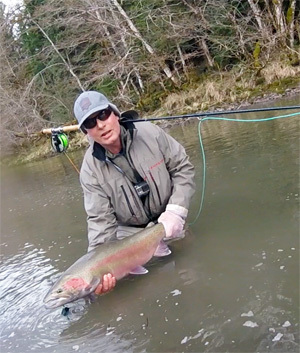 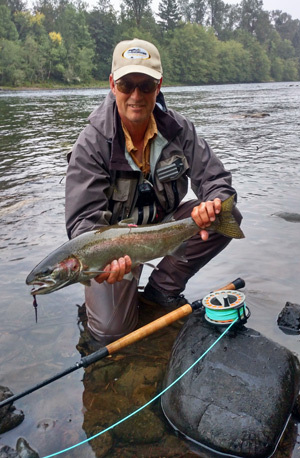 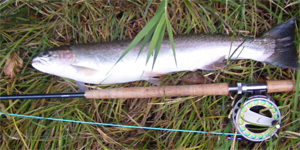 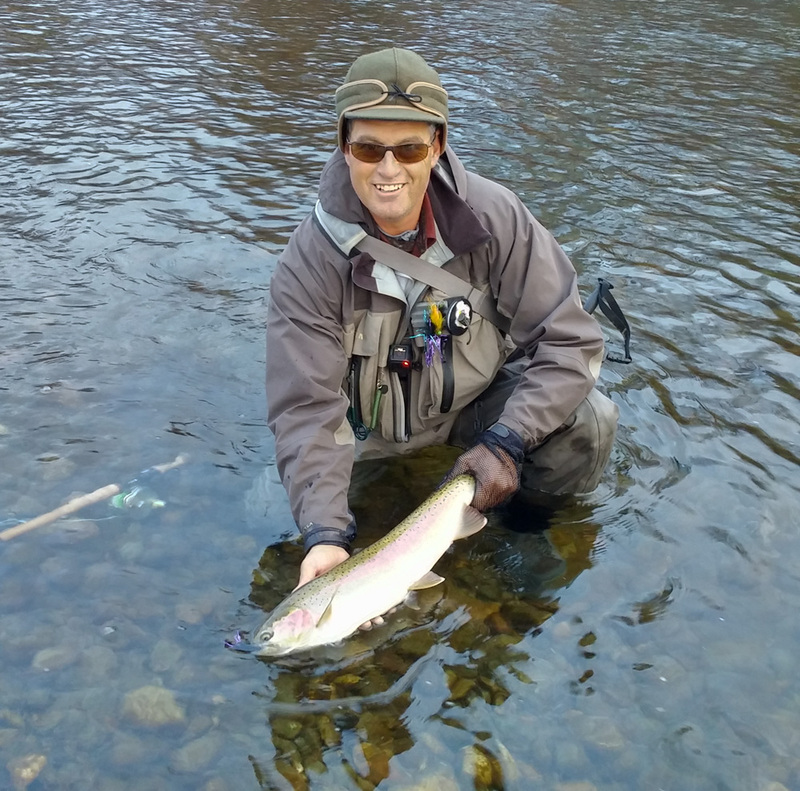 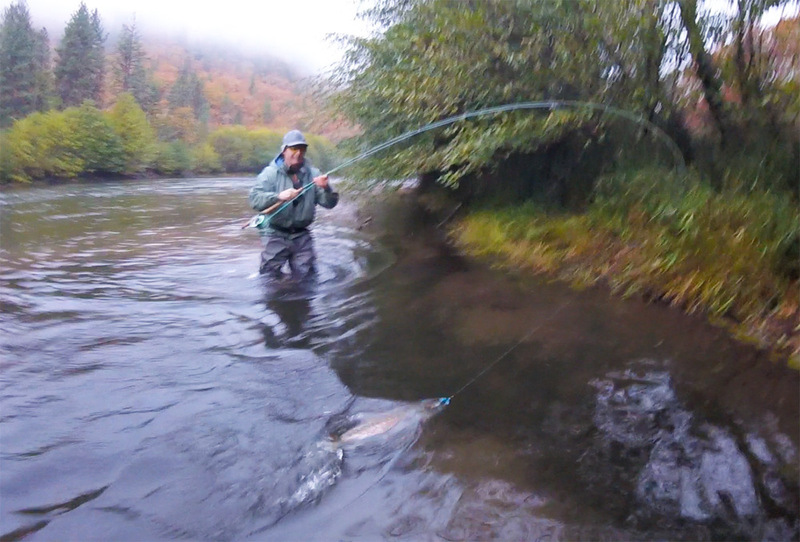 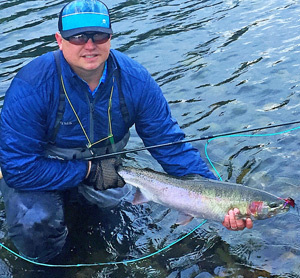 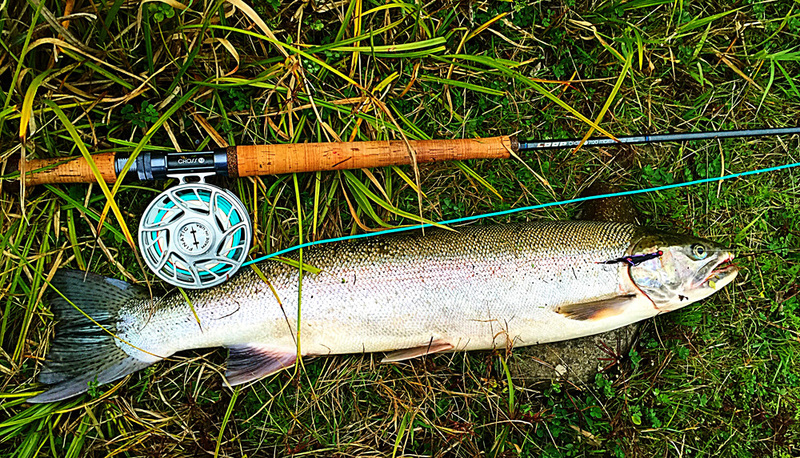 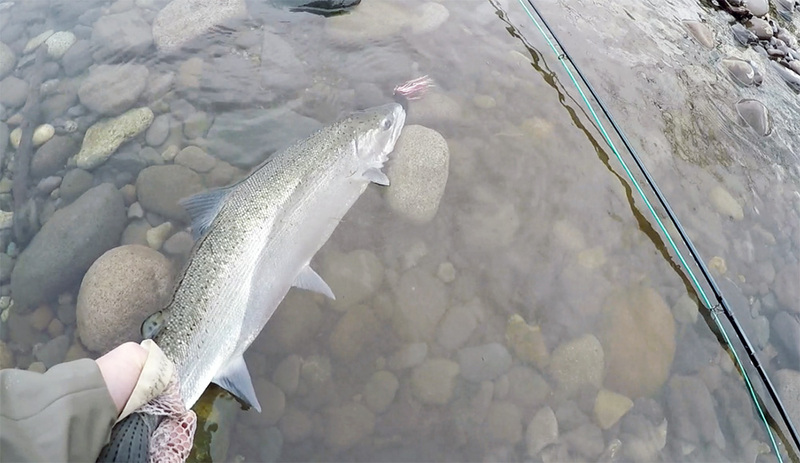 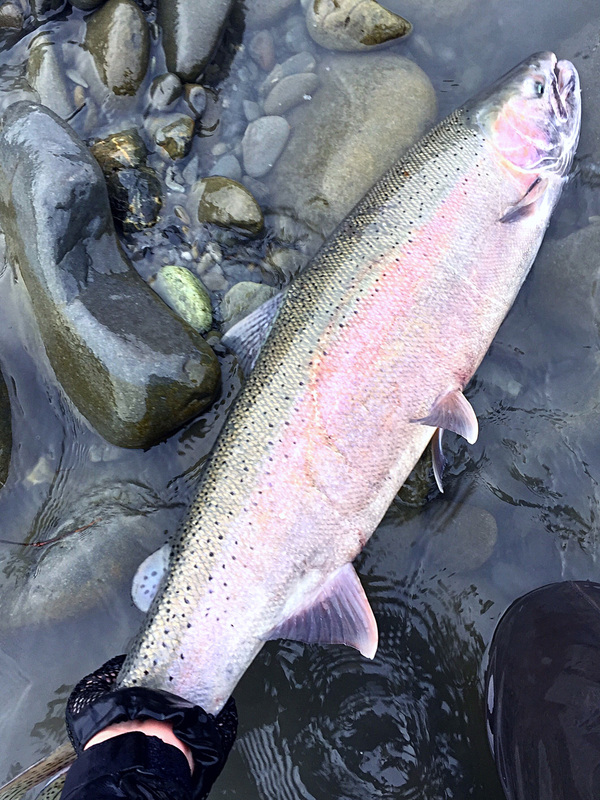 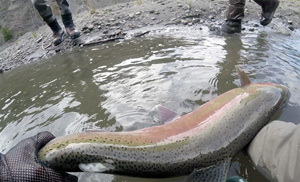 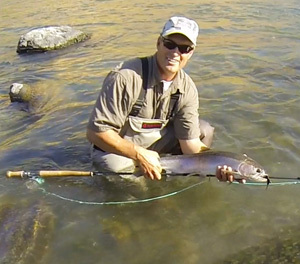 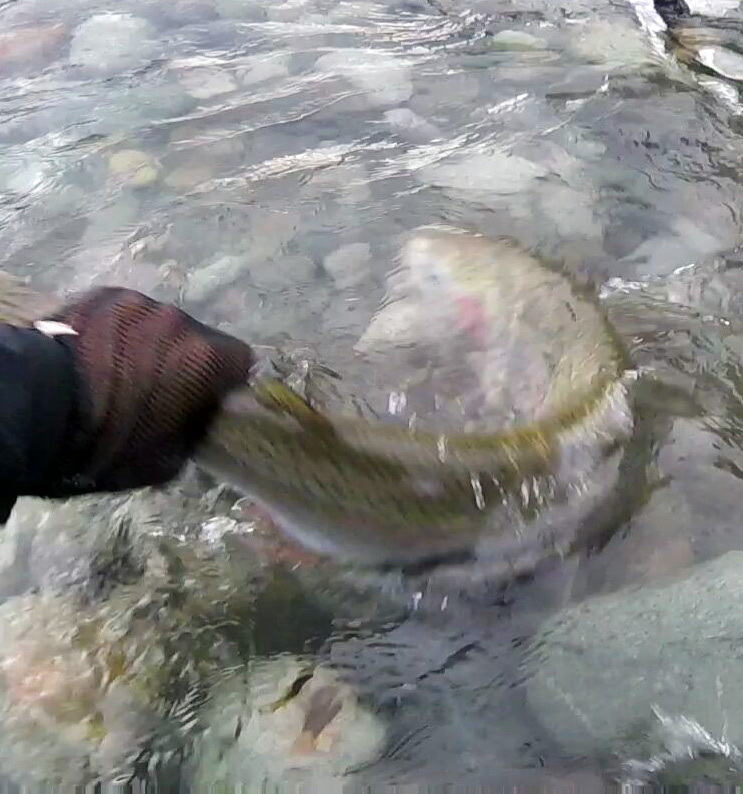 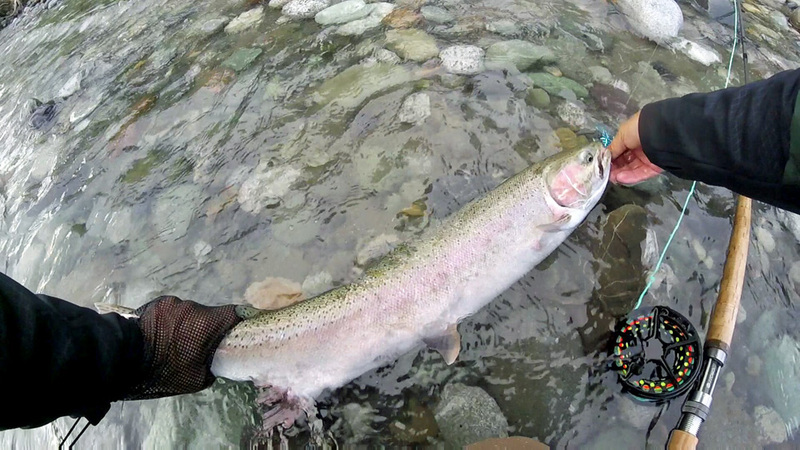 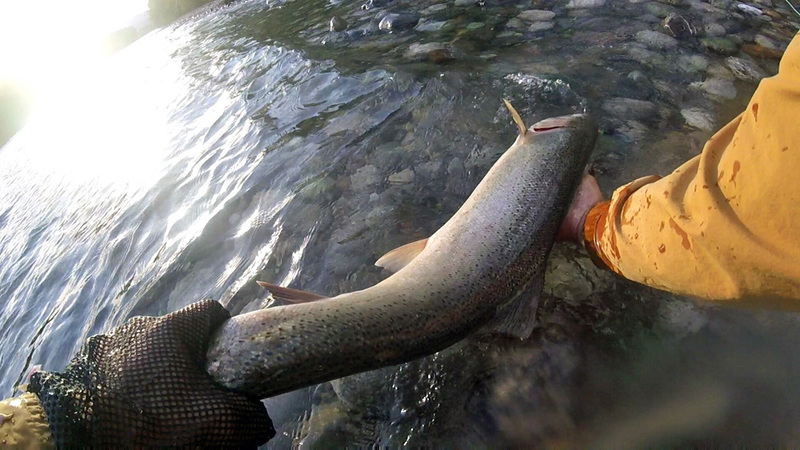 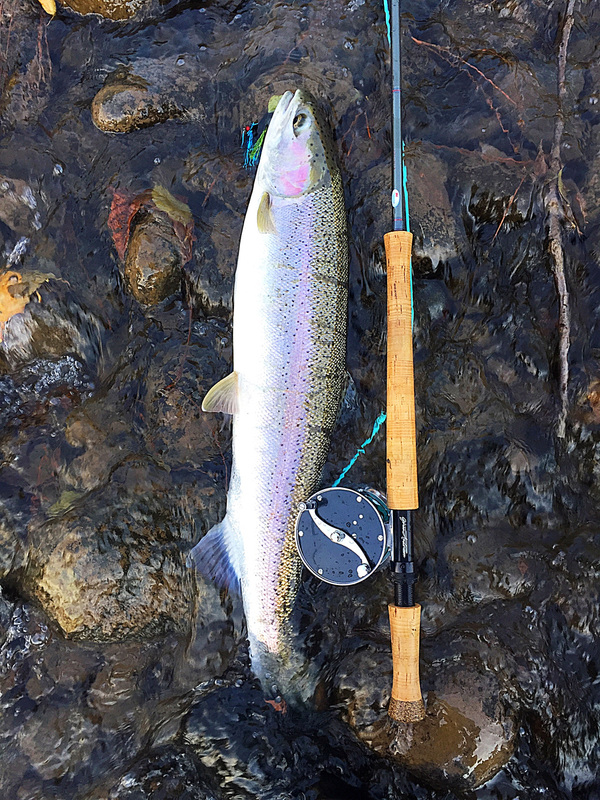 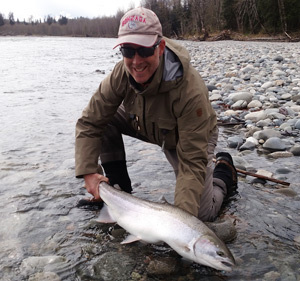 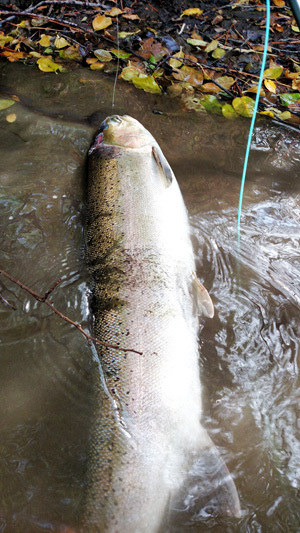 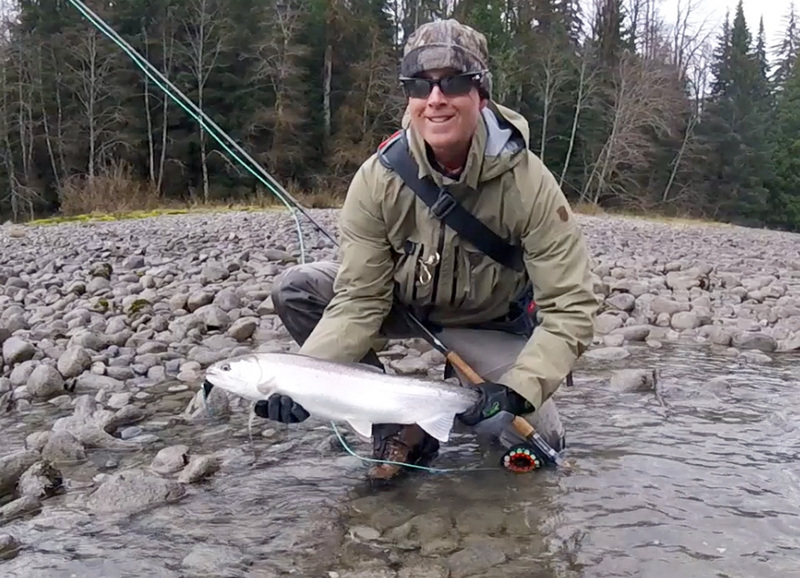 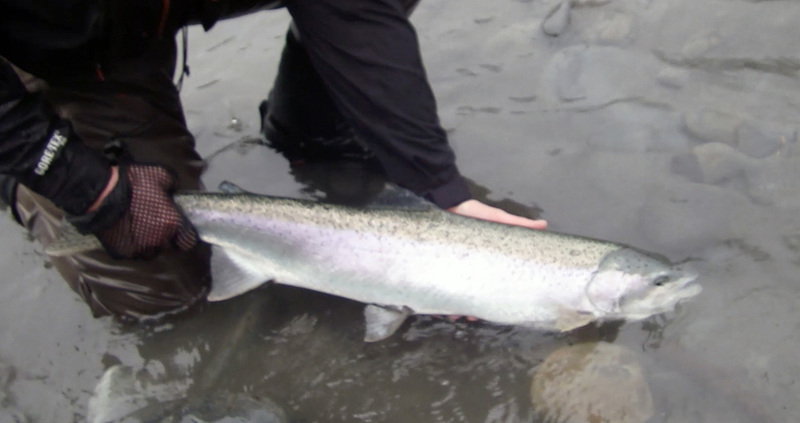 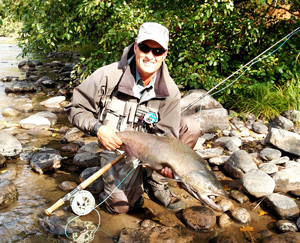 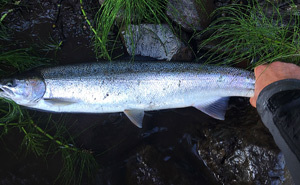 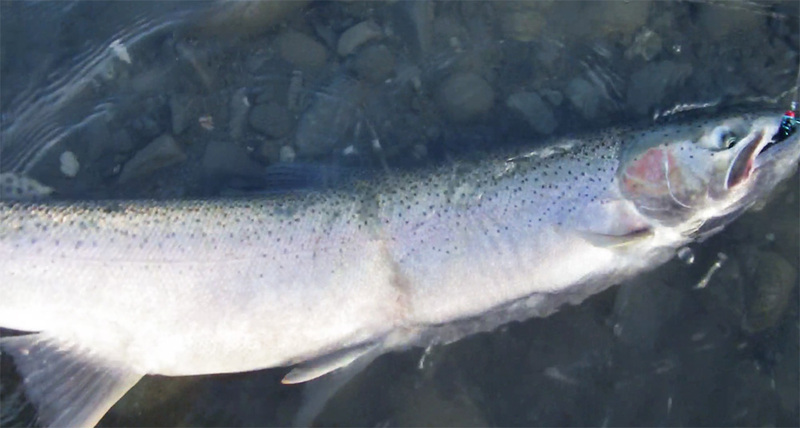 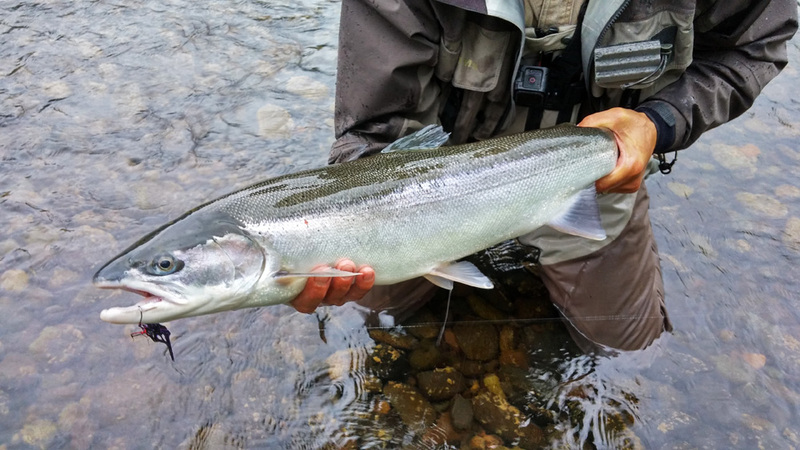 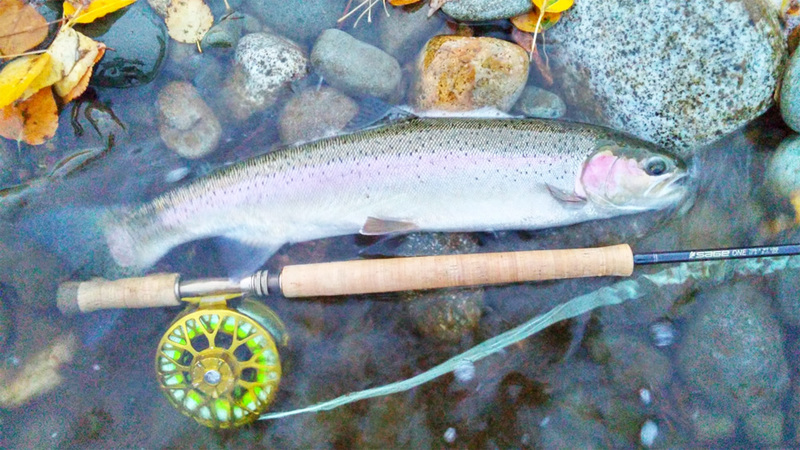 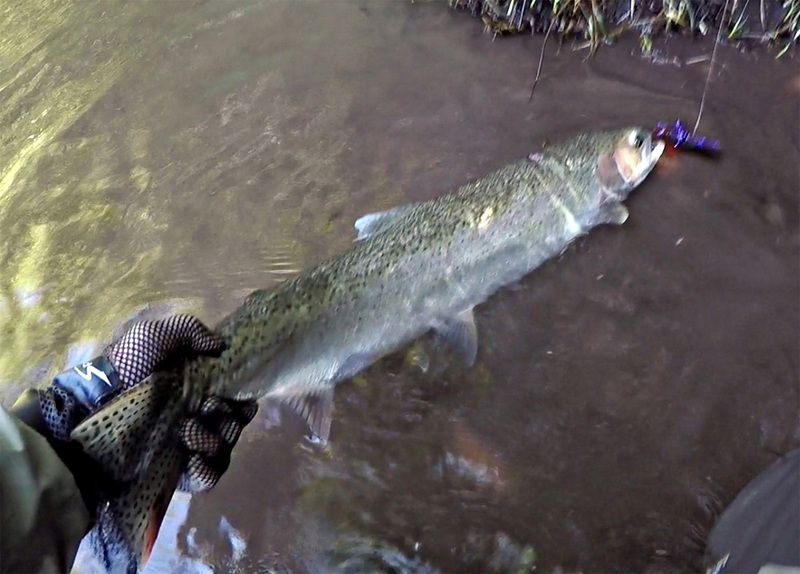 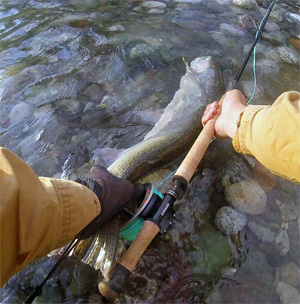 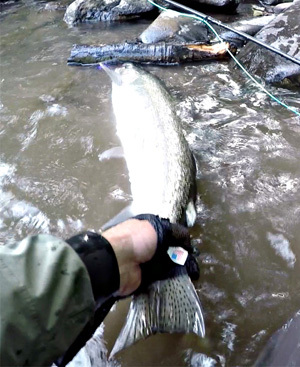 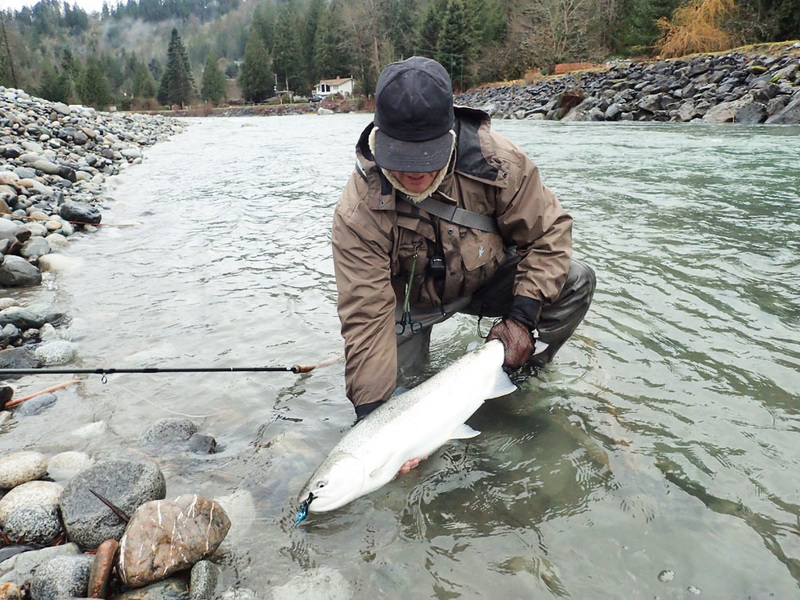 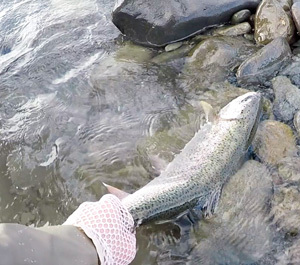 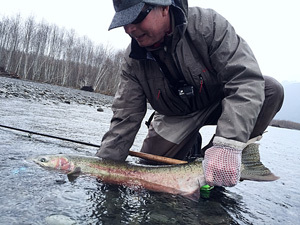 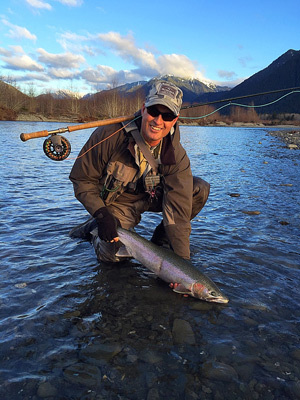 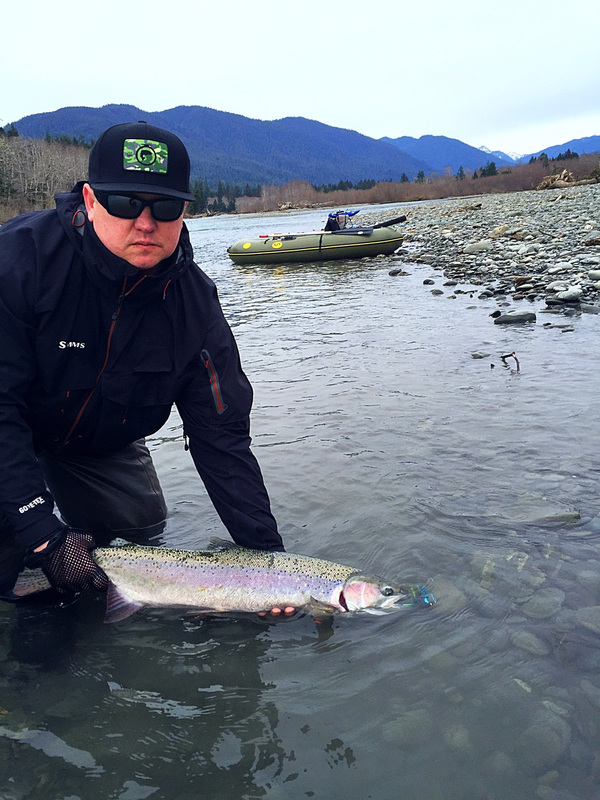 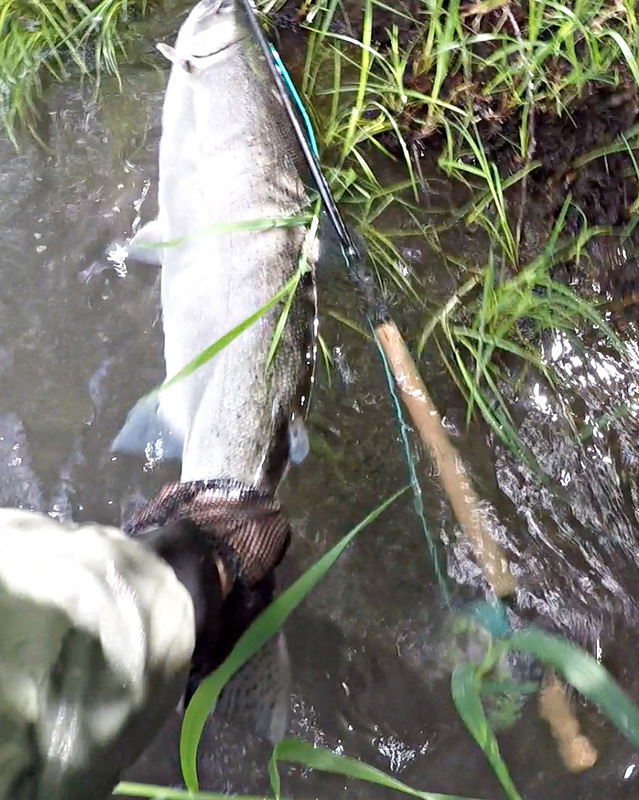 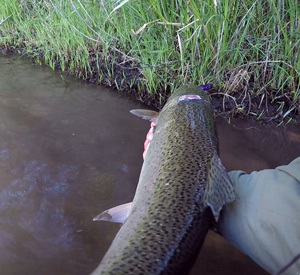 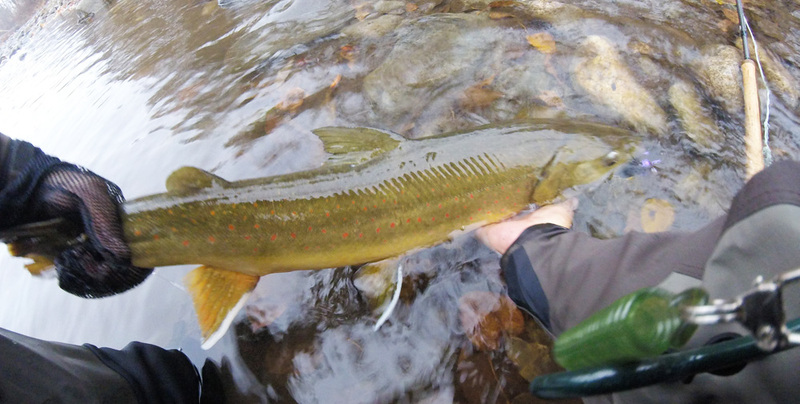 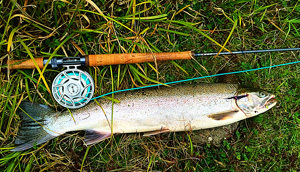 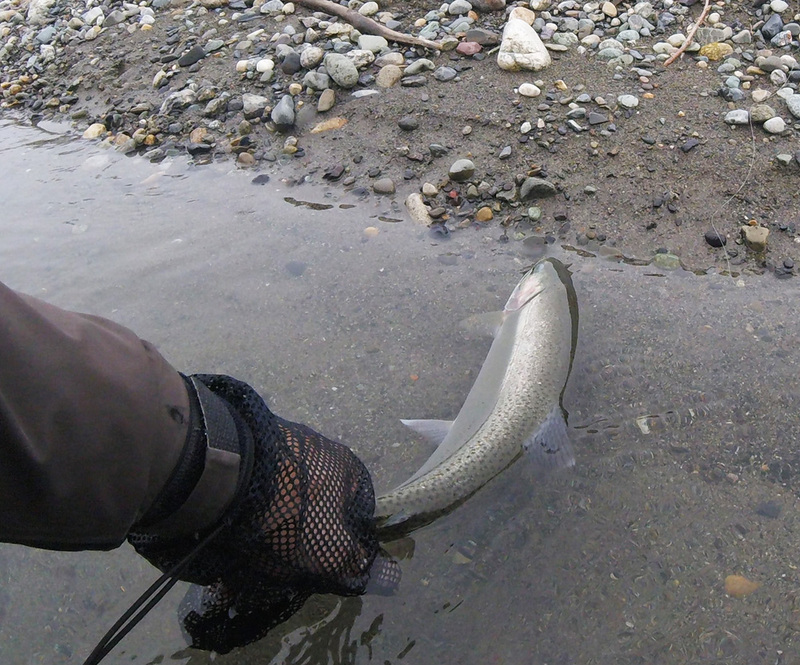 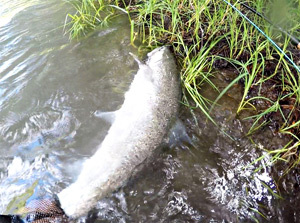 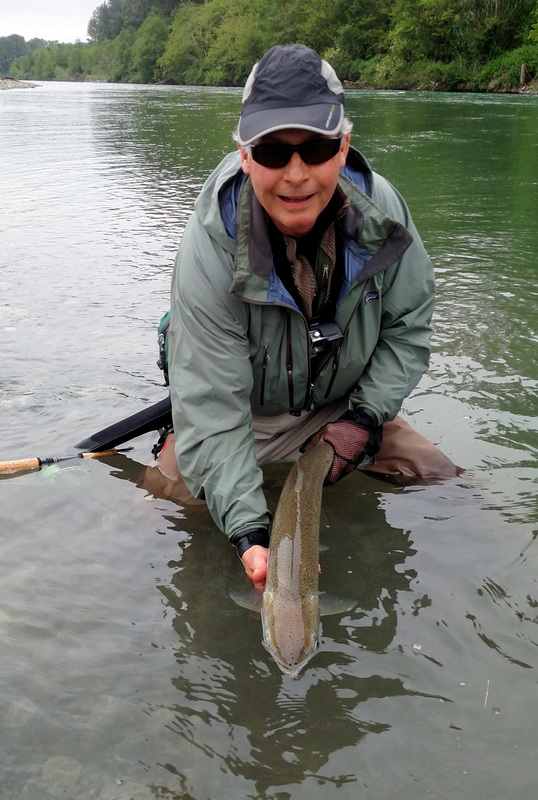 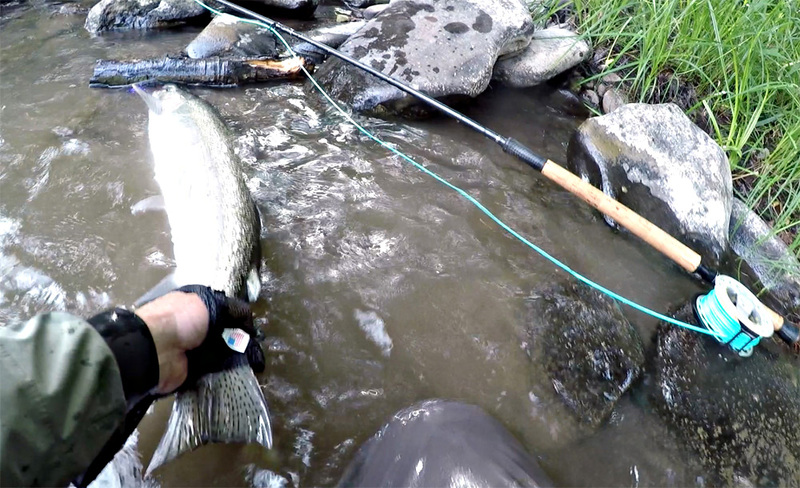 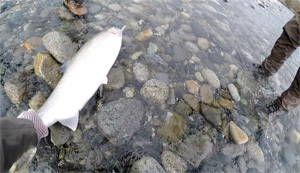 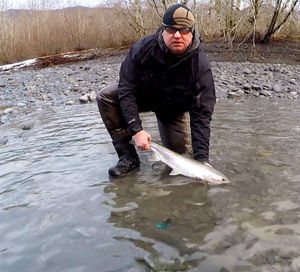 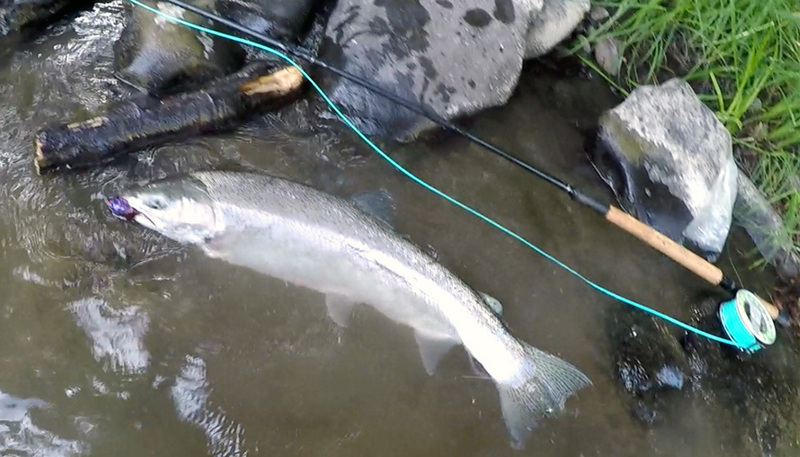 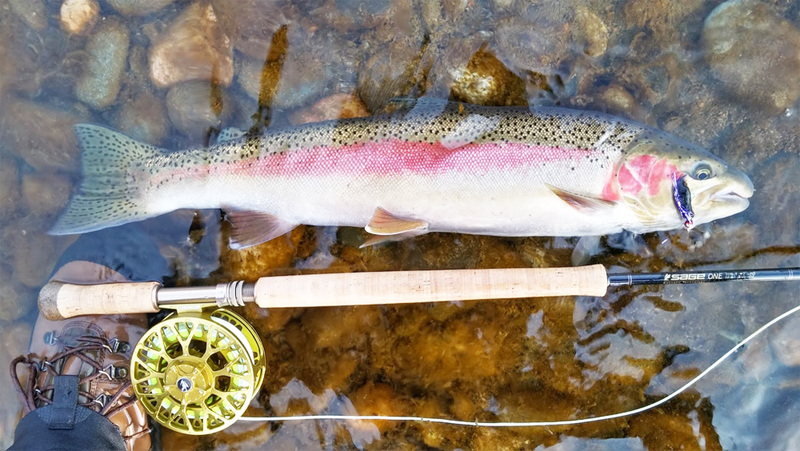 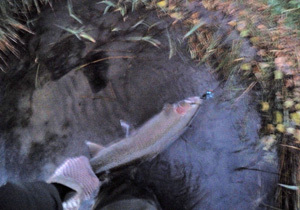 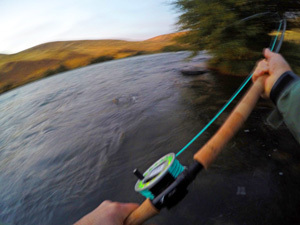 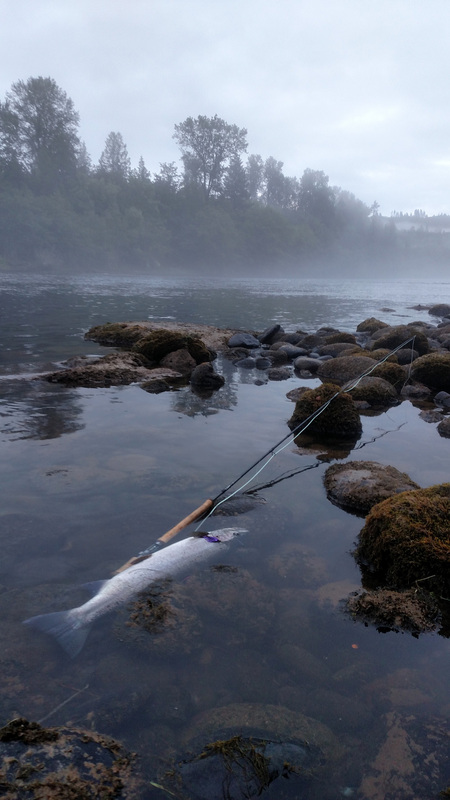 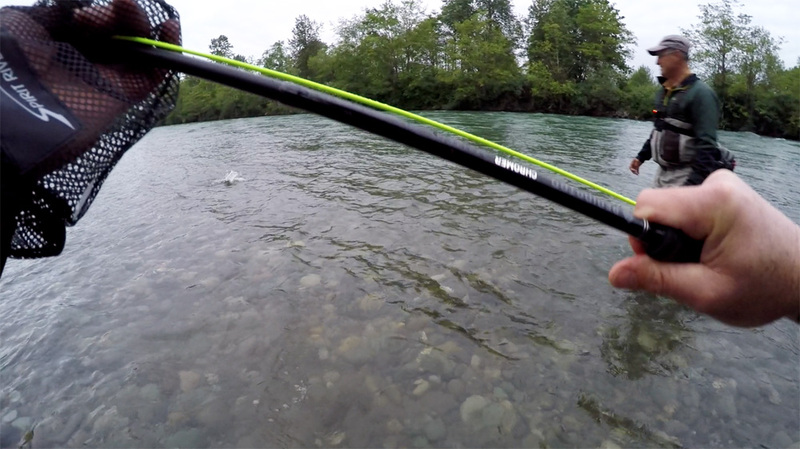 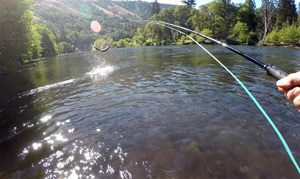 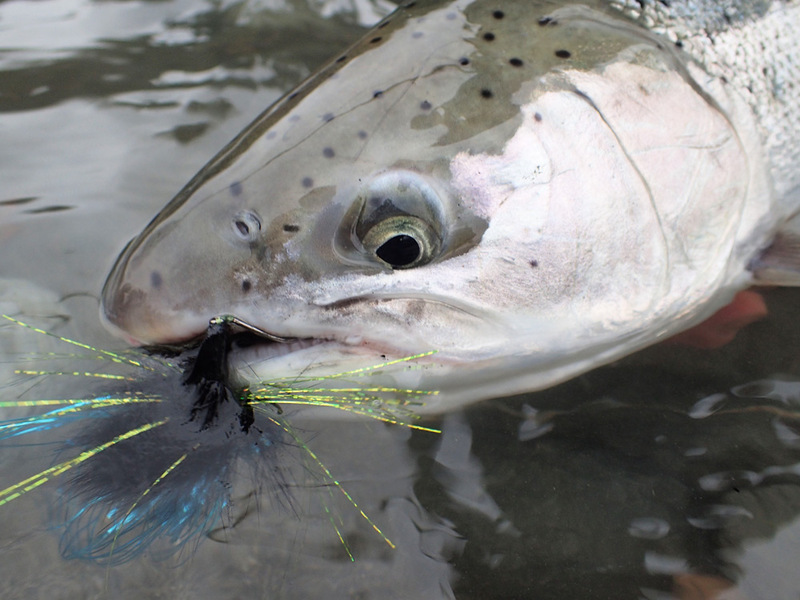 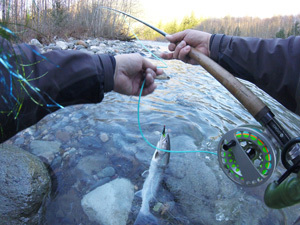 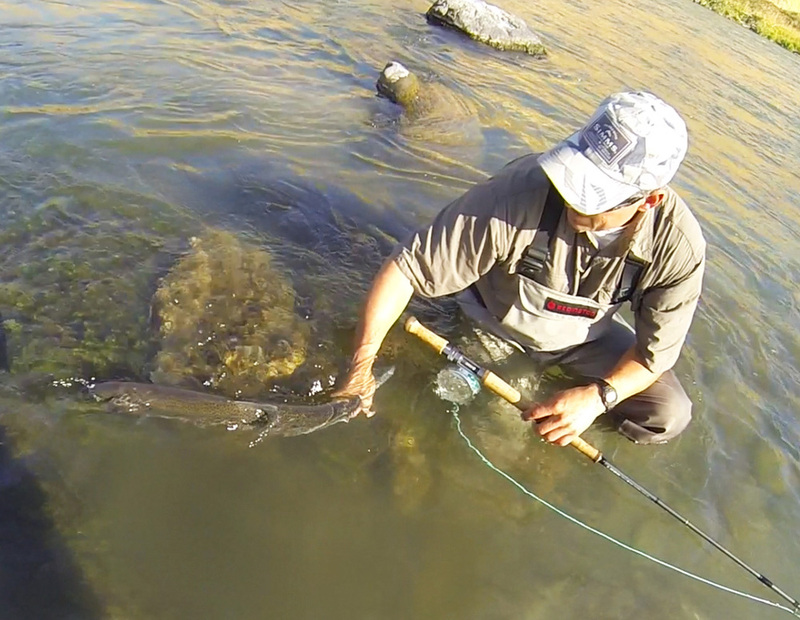 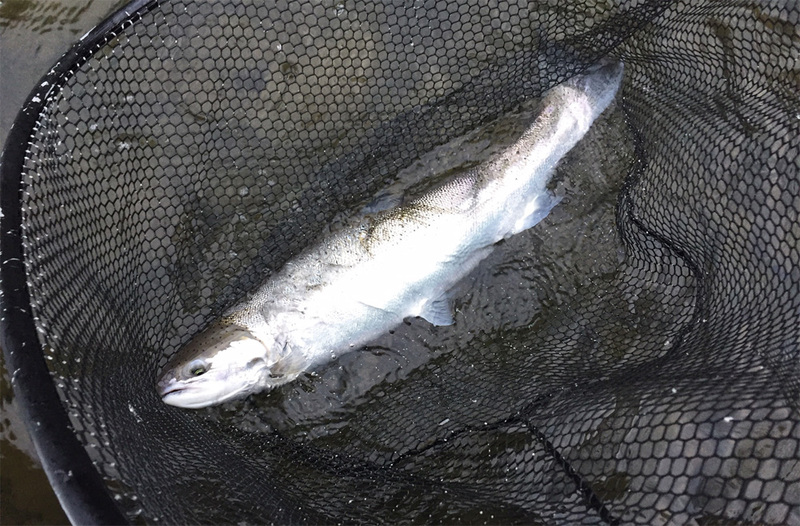 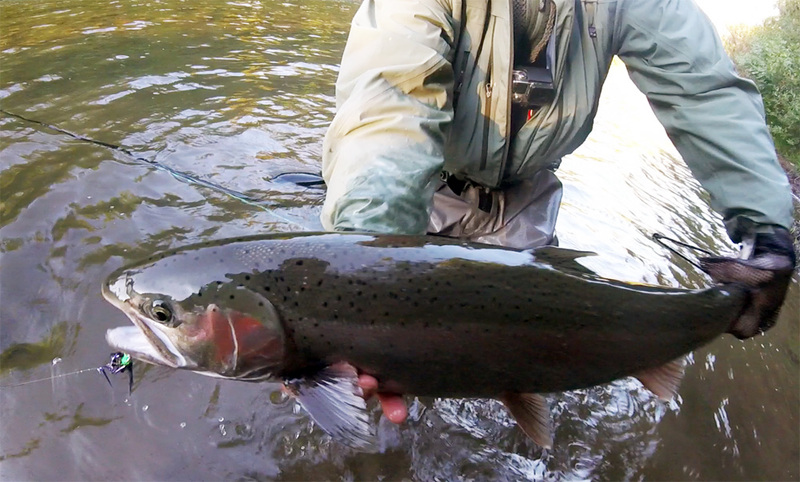 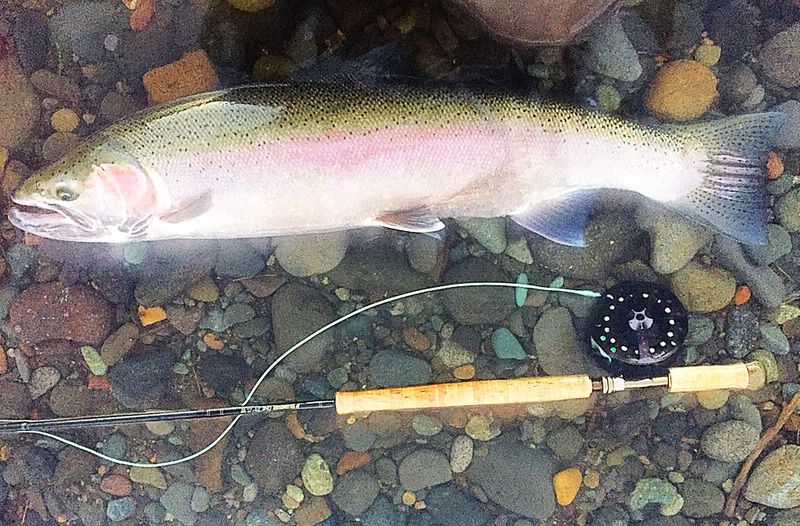 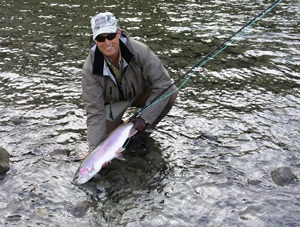 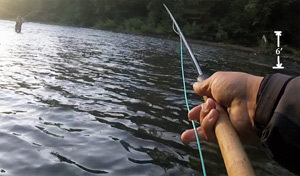 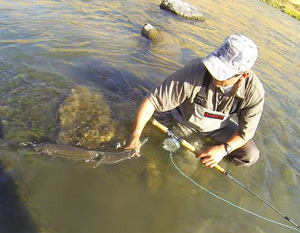 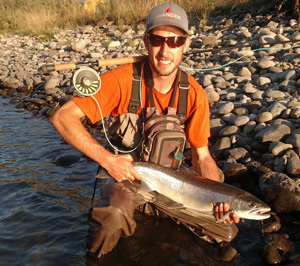 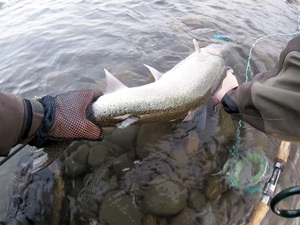 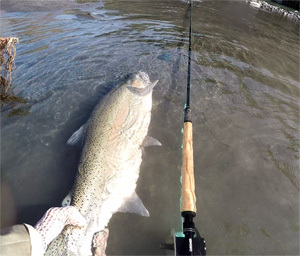 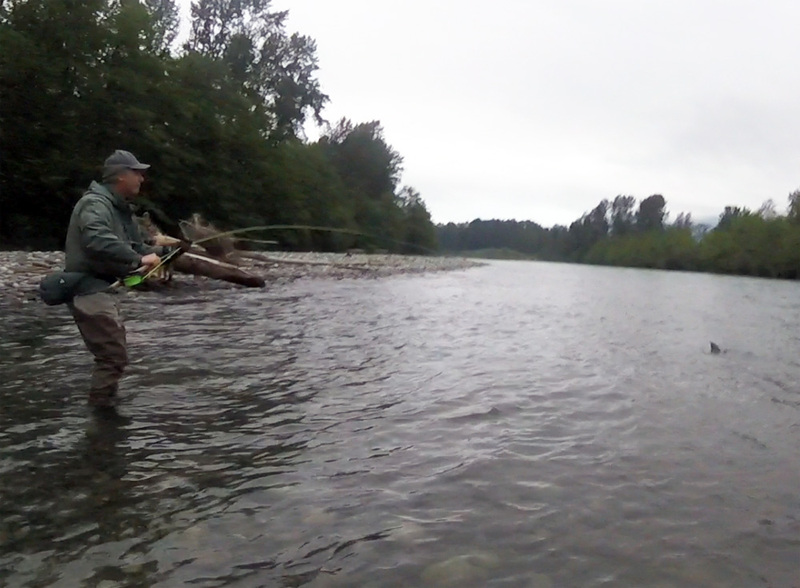 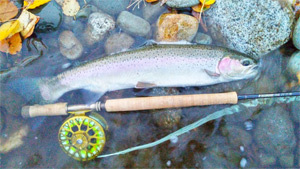 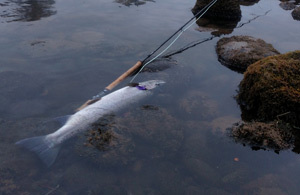 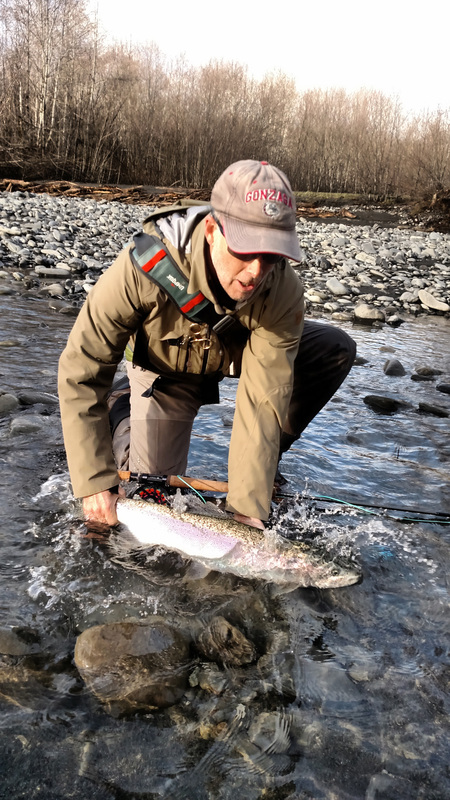 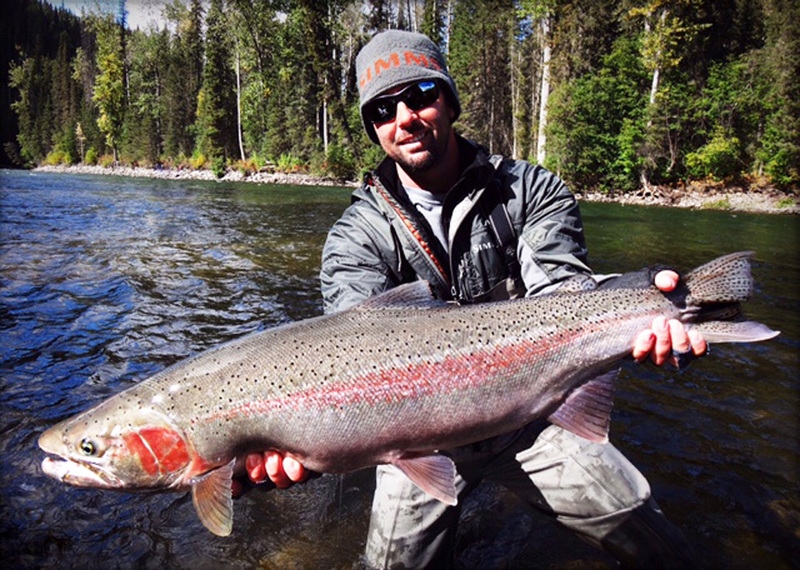 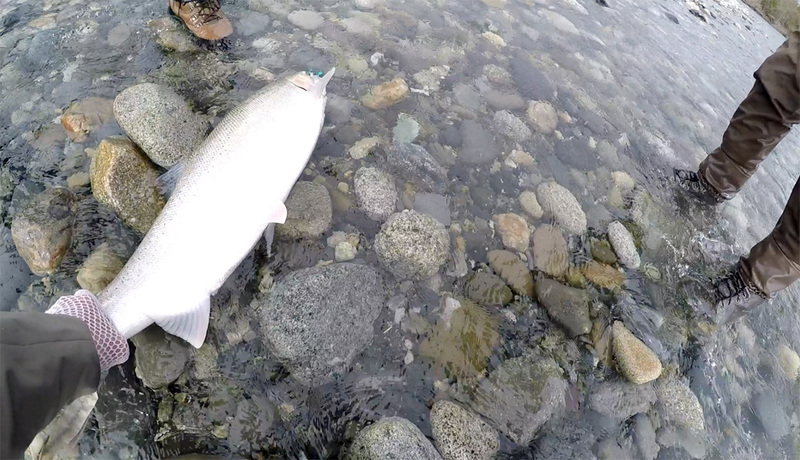 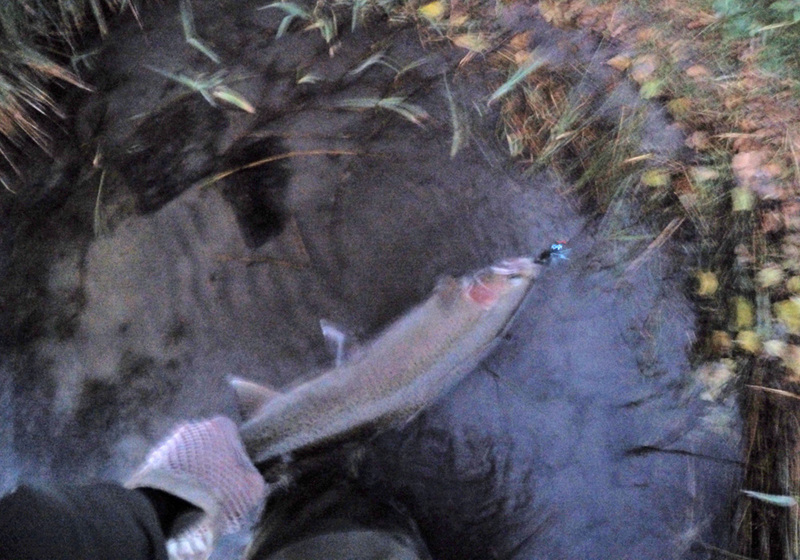 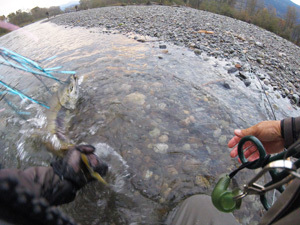 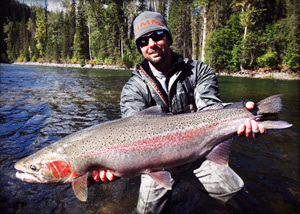 Caught on a Custom Fly Tied by Dave | Caught on Dave's new Redington Chromer Spey Rod on the Kalum River, BC. 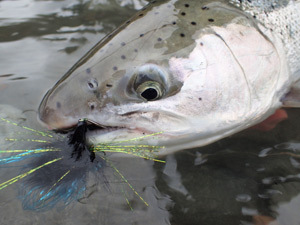 Dave tied this GrabFlies pattern - fly tying materials bought at Grabflies.